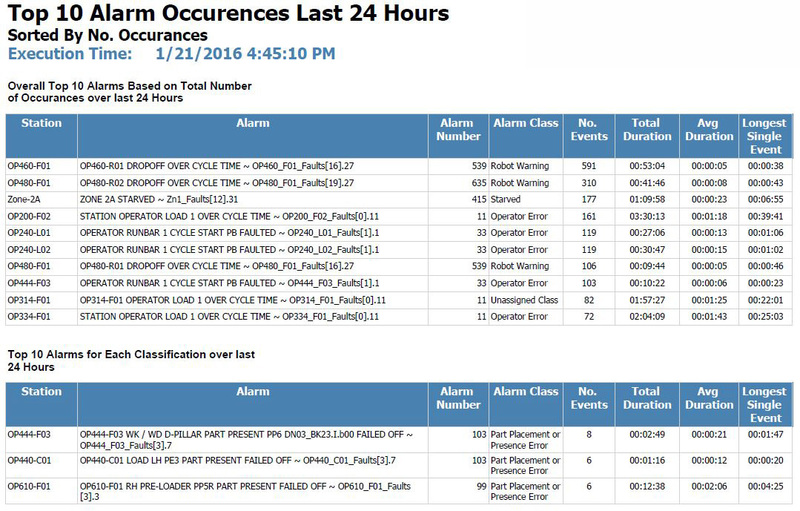 Our Plant Visualization and Alarm Monitoring tool is a great way to gain better visibility and drive better performance within your manufacturing operations. 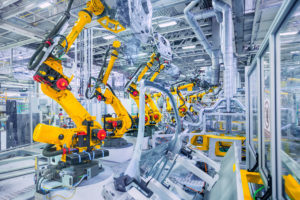 With greater reliance on automation and increased complexity in the manufacturing process, the need to effectively visualize production operations has become extremely important. The ability to not only view, but analyze the production process, provides measurable metrics that can help drive more effective performance and reduce costs. 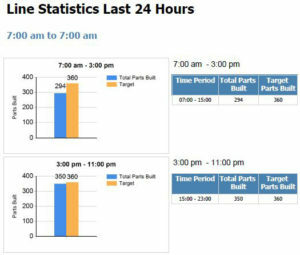 Real-time dashboards keep key personnel in touch with the immediate situation as it occurs on the manufacturing floor, fostering an agile and timely response, keeping operations on track. The effective operation of manufacturing facilities can be greatly enhanced by the provision of an accurate, real-time depiction of equipment and work-piece status. The increased availability of technology within a typical manufacturing facility provides the perfect environment to implement this increasingly important facet of the modern manufacturing world. The analysis of both historical and current production as well as operational statistics, can increase the efficiency of continuous improvement efforts. 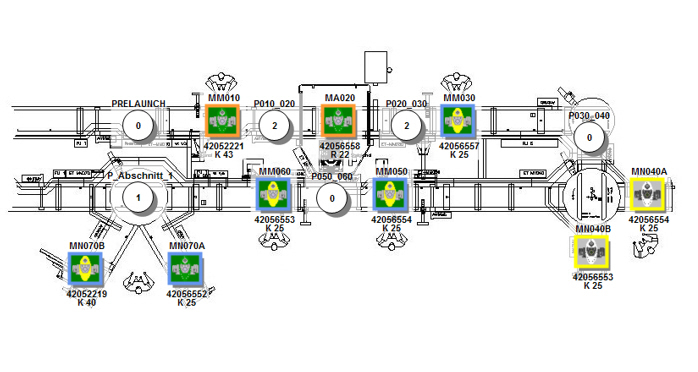 This can maximize the effectiveness of capital investment, giving the modern manufacturer an edge over the competition. Use of these performance indicators within the framework of a disciplined manufacturing process puts facts in the hands of those responsible for quality, volume and profitability. Customized screens deliver needed information based on a viewer’s role. Whether it’s high-level KPIs for the boardroom or a detailed equipment status for the maintenance crib, screens deliver facts in the office, on the shop floor and on the go. In order to support the key objectives of your production staff, reports are designed to your specifications. These reports are an automated factsheet of performance, driving improvement initiatives and insuring maximum performance. 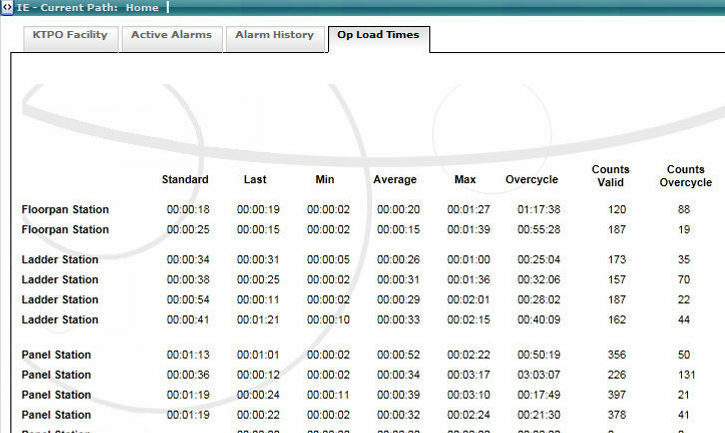 These customized reports use analysis techniques such as top-10 stoppage reasons and alarm frequency, amongst many others. They help to remove the clutter of data and expose the true root cause of production interruption, making maintenance activities more effective. Whether it’s analysis of operator load times, material shortage alerts or any of the hundreds of other key operational indicators which can keep your facility from reaching 100%, these customized screens can help prevent problems before they escalate. With the wealth of historical data available, comes the benefit of hindsight. Instead of this being a sour reminder of mistakes made, these tools can help to prevent future mistakes and increase the robustness of processes within the facility. Are you ready to reduce your costs and drive better performance? Or perhaps you just have a question. Either way, we would love to hear from you.